Last month, both the Flemish and federal governments launched an action plan to jump on the bandwagon of artificial intelligence (AI) developments. Vrije Universiteit Brussel (VUB) announced the creation of an expertise hub on AI in the capital, focusing on ethical and policy questions raised by this quickly expanding field. AI might still seem like a complex, high-tech application, but specialists feel that it has an impact on society that can be compared to the steam engine, thus functioning as an important driver of the so-called fourth industrial revolution. Computer programs are capable of increasingly complex tasks in the areas of data analysis, problem-solving and decision-making. “There is not a sector that will not be influenced by advancements in AI,” says Wim De Waele, who leads the Antwerp innovation hub The Beacon and financial technology network B-Hive. There is much buzz around self-driving cars and algorithms that decide which news and ads you see online, but the smart technology can also help farmers to optimise harvests, doctors to detect diseases and insurance companies to analyse claims. 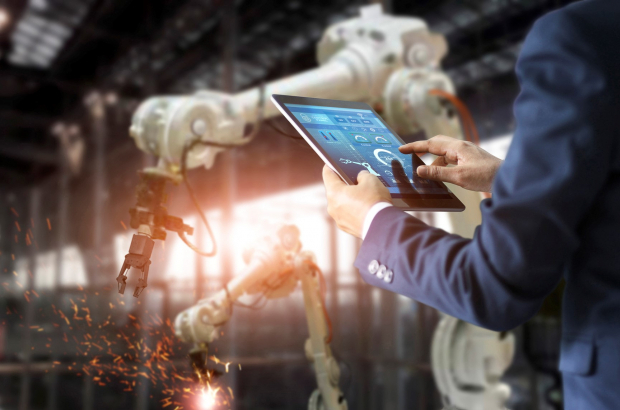 To harness this huge potential, Flemish innovation minister Philippe Muyters recently announced the ambitious Flemish AI plan, including an annual investment of €32 million over five years. The government plans to invest €12 million in research, €15 million in digitalisation and implementation and €5 million in ethics and training initiatives. Concerning research, the plan stipulates a focus on specific domains in which Flanders excels, such as “Human-like AI”, revolving around the creation of AI systems that interact with humans in a way that feels natural. The plan also concentrates on improving the “digital readiness” of enterprises and supporting them in implementing systems, with special attention for SMEs. But not just the business world needs to be informed: The goal is to give 100,000 residents of Flanders at least a basic training in AI over the next three years – through education institutions and government-funded employment agencies such as Syntra and VDAB. To deal with ethical challenges like privacy, the government will establish a knowledge centre on ethics. Assembled experts will provide advice to the government as well as industry and education and research institutions. VUB, which has a long history in AI research, has also announced its plans for the foundation of an AI research centre, together with its spin-off Collibra, a specialist in data governance. The Brussels centre will unite multiple VUB research groups and set up partnerships with other universities and with industrial frontrunners, such as B-Hive nanotechnology firm imec. The VUB team is a strong voice in the debate on the ethical consequences of AI, which De Waele considers a major asset of the future research centre. This experience and its position in the political heart of Belgium and Europe could make the new centre an influential actor in the development of ethical guidelines and legislative frameworks for the country’s and the EU’s policies, he says. A few weeks ago, federal finance minister Alexander De Croo and minister of the digital agenda Philippe De Backer presented the federal AI 4 Belgium strategy. The initiative sets up a large coalition of high-profile Belgian experts, such as Pattie Maes, professor in the Media Laboratory at the renowned Massachusetts Institute of Technology.